Old ferry, now not more than a wreck. Seen at Puerta de Santa Maria, north of Cadiz. 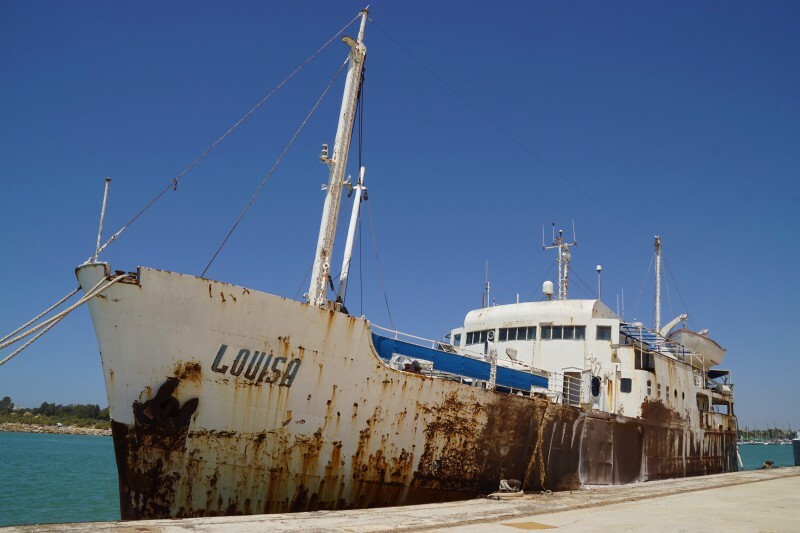 In early 2006 the Spanish civil guard raided the vessel and found she was operated by an armed gang engaged in plundering archaeological remains from the sea bed. Police found rifles and ammunition together with remains of 17/18th century cannon balls from the battle of Trafalgar. Reported to be laid up under arrest in Spanish Puerto de Santa Maria by 2009.